Give your child a letter on the first day of school to be read on the bus or during a free moment at school. Your letter might offer encouragement or point out specific things your child did that made you proud. Consider saving a copy of each year’s letter for your child to reread at high school or college graduation. Give your kids a small gift. A simple tradition that affords an opportunity to reflect on the first day of school with your children and sets a tone for a positive transition back to a busier schedule. When my kids get home on the first day, I always have a first day surprise for them on their beds. Something small but special like a video game or a gift card or even a stuffed animal. Then we go out for dinner because I am just as tired, overwhelmed and missing summer as much as they are. Read a book with an encouraging message to reinforce to children that they survived the last big school challenge and that they will do just as well in the next new grade. To create a lasting memory, ask your child’s teachers to sign the book, either at the beginning or end of each school year. 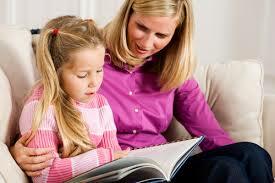 When it is back to school time again, pull the book off the shelf and reread it with your child. Leave us your comments. Your feedback is greatly appreciated. Let us know what other topics you would like to have discussed. Share this post with your family and friends. Keep on praising your child. By a raise of hands, how many of you like poetry? Not many, I see. Now a tougher question, how many of your children like poetry? Why do children tend to shy away from poetry. After all, children should love poetry, it is short and right to the point. It is also a little confusing to read, to get the right pronunciation can be a battle in itself. Some of these poems make absolutely no sense to any one except for the person who wrote it. Once kids outgrow nursery rhymes, that is usually the end of poetry for them. It is up to us adults to make sure that poetry stays a part of our childs regular reading as they mature into avid readers.